Spelman College received a A+. Washington Monthly's ranking of 39 out of 246 of Liberal Arts Colleges - Overall Rank was a major contributor to this grade. 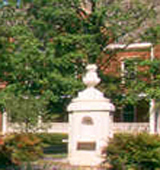 Strengthened early on by Rockefeller money, Spelman College is the historically black college for women that exists across the street from, and as the sister school to, Morehouse for men, part of the Atlanta University Center that hosts a number of different institutions, including Clark Atlanta. As much as Dr. William H. Cosby, Jr. espouses views in keeping with the Morehouse mission, it was to Spelman that he and his wife Dr. Camille Cosby gave $20 million in 1987. In a rare move meant to reinforce the priority of academics and balance the budget, Spelman eliminated all varsity intercollegiate sports in 2013. Describe the type of student who should not attend Spelman College and explain why. Describe the type of student who should attend Spelman College. Why? What is a typical Spelman College student like? Describe the type of person that should attend Spelman College. What are the top 3 reasons someone should attend Spelman College? The Spelman College network is phenomenal with alumnae across all job fields. Spelman college is the true place where personal growth happens. You learn so many new things about yourself. What was a typical Spelman College student like in high school? Describe the type of person that should attend Spelman College. Unusually strong in the sciences with particular emphasis on undergraduate research. Students are required to take a large variety of classes before graduating. Applicant evaluaton is very personal; it is quite important to show depth of character and social consciousness. Private, independent, liberal arts, historically Black college for women, founded in 1881. Our goals include integrating and globalizing learning, teaching creatively and rigorously, leading from our authentic core, living sustainably, improving ourselves continuously, and collaborating to better our city's quality of life. These ambitious GOALS and others build on our accomplishments as the premier historically Black college for women and one of the finest institutions for undergraduate education nationwide. What are the top 3 things that students do for fun at Spelman College? Lots and lots of community service! The average student pays $28,866 for tuition, fees, and other expenses, after grants and scholarships. Total stated tuition is $21,309, in-state and on-campus, before financial aid. Learn more about financial aid at http://www.spelman.edu/admissions/financial-aid. Estimate the net price for you at http://spelman.studentaidcalculator.com/welcome.aspx. Spelman College participates in the for college athletics. Want more info about Spelman College? Get free advice from education experts and Noodle community members. What is a major for becoming a director? What are the most popular Spelman College majors? According to US News & World Report, the five most popular majors as of 2012 were psychology, the social sciences, biological and biomedical sciences, english language and literature, and the physical sciences.